Daisy Buckner was born in South Carolina and now resides in Georgia with her husband Ollie. She is an educator who has had over 25 years of experience in the field of education. Daisy holds a Doctorate in Christian Religious Education and is currently a Professor at a local university. Daisy and her husband have served together as Adult Bible Study Teachers for their local church. Daisy is also a Moderator for World Prayer, a Ministry providing online resources of encouragement, support, and prayer. 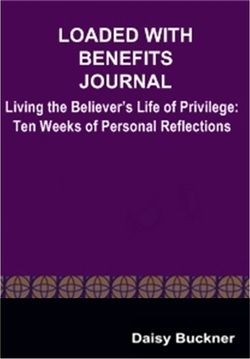 This is a companion journal to the book “LOADED WITH BENEFITS, Living the Believer’s Life of Privilege: Ten Weeks of Personal Study” (ISBN 978-0-557-04460-3). 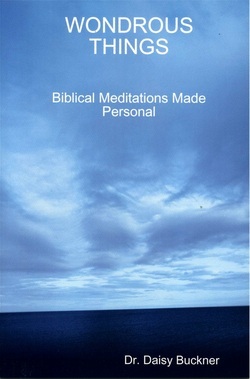 It contains reflections from the book combined with inspirational Scriptures for daily meditation. In this journal you will record your personal thoughts and insights as you meditate on the Scriptures each day, finding joy, peace and hope, as you reap the “benefits” of God’s favor on your life. You will be encouraged daily as God shows you great and mighty things from His Word. This book of religious poetry is designed to help the reader embrace and remember some of the promises made to Christians by God in His Word. The promises are personalized just for the reader and are very uplifting and encouraging.